Interactive Present Perfect Continuous Tense to learn English. 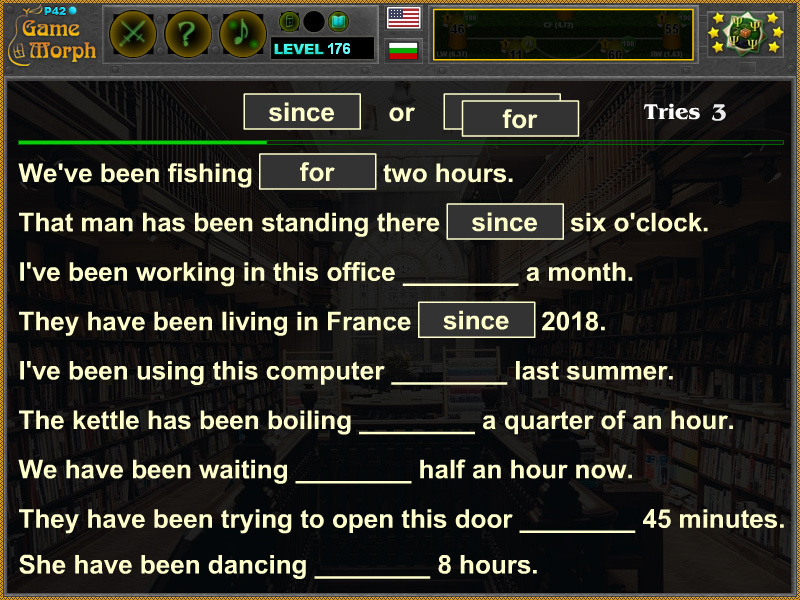 "Since or For Quiz" is a free online game to Fill in the empty spaces in the following sentences by using Since or For. 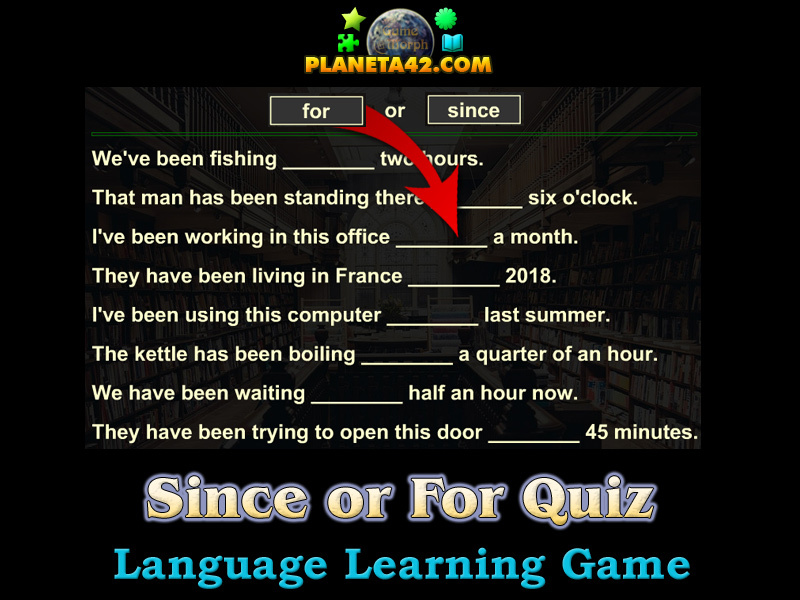 Free online game to study the The Present Perfect Continuous Tense in English grammar. Fun educational language puzzle, suitable for online lessons and interactive classes. Drag and drop game. Interactive English learning. For and sicnce practice worksheet. How to play Since or For Quiz. This is a popular exercise from the English learning textbooks, but made interactive. You have 9 sentences on the screen and two words at the top to place in the empty spaces. Drag and drop the word "since" or the word "for" where they should complete the sentence. Complete all 9 sentences to win the game. Know where to use since or for and get +1 Knowledge Level. Class subject: Present Perfect Continuous Tense. When you want to express an action which begin in the past and still continuing at the present moment, or has only just finished, use the Present Perfect Continuous Tense. In English The Present Perfect Continuous Tense there are two ways to refer to a period from a point in the past. We use "Since" when refering to an exact date, and "For" when refering a period of time. Labels: English Learning Games , Puzzle Games , Grammar Games , Language Games , Education Games , Free Online Games.